My sister in law was just telling me the other day that her daughter, my niece, had also read Heaven is for Real and that she was intrigued by my response to it - that I didn't give it a stellar review, but I questioned the things it didn't address. She said her daughter was starting to realize that, being the parent of children with special needs, I see many things in the world differently. I didn't realize just how much that is the case, either. I see cases of people with differences being misunderstood, undervalued, treated cruelly, and abused in so many more books and movies than I ever did before. And I think everyone - well, most everyone - while they know that it's wrong and unjust, they don't feel the unfairness the way I do. Because while most everyone can imagine people being mistreated, most of them aren't imagining it happening to their own babies. I'm reading The Giver by Lois Lowry right now. It's about a futuristic society where people live simple lives where they have no control or choices, but they also have no pain or sadness or loneliness. There are no people with disabilities anywhere. Everyone is the same. The focus is on how the people have no memories of bad things, but no memory of good things, either. I just had to delete what I'd written here because I don't want to spoil the story for anyone who hasn't read it, but basically, this society is living by some very ignorant and ancient ideals, for the sake of sparing people pain. 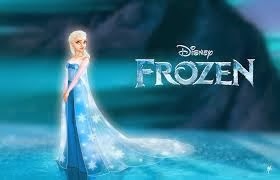 Another case where I see a story of a disability is the movie Frozen. I'm not going to worry about spoilers for that, it's been out for months now and if you haven't seen it twice, you should have. Because it's the best Disney film ever made. That's only my opinion. But there you have it. To most people, Frozen is about two sisters who grow up largely separated and lonely but whose love for each other saves the day, in the end. To me, Frozen is about a girl with a gift no one else has or understands. She hasn't been taught how to live with this gift and she can't control it and she hides it. When it inevitably becomes public, it scares the people, and they shrink away from her in horror and begin to plan to destroy her. I see a movie about a girl with a disability. Her sister goes on a mission to save her. It's incredibly heartwarming, and finally, finally, Disney has made a movie where the girl doesn't have to end up with the prince to have a happily ever after. Love at first sight is exciting, but needs to be given time to see if it is real. People who are a little "different" need to be loved and included, not feared and shunned.